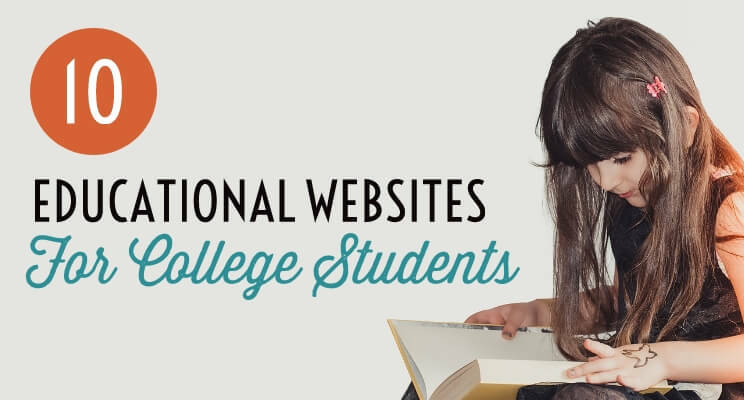 If you are looking for Educational websites for college students or kids, then I have curated a list of 10 resources that will definitely help you a lot. I know sometimes, it becomes hard for students to understand what is been taught in the classes. I had this problem where my teachers were not good and I was having difficulty in understanding things. But back then, the Internet wasn’t a huge thing as it is right now. With the emerge of massive websites on Education, today you can learn everything from the comfort of your home even if you don’t visit the classes. You can get notes, video classes and what not just by accessing the internet. So, if you are not taking advantage of such websites, then you should definitely start. In this article, you will find a curated list of 10 websites that share video classes, DIY projects, amazing facts, career guideline tips, study material and much more. Though there are many websites available I think these websites are among the best to start with. If you like making or fixing things, then this website should definitely be on your watch list. 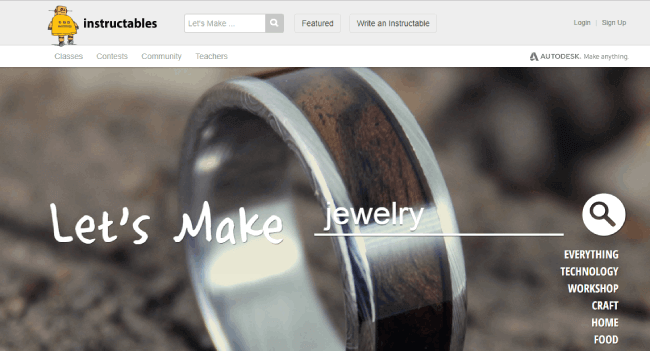 Instructables is a big DIY site where people from around the world share their unique ideas and creativity related to technology, craft, cooking & workshop. This website is absolutely a lifesaver for students who can get a lot of ideas for their school & college projects. If you love facts, then you will love this website. Mental Floss is a place where you can learn interesting facts from around the world, covering topics on food, culture, and science. You can explore different Trivia, Quizzes, Brain Teasers, and Amazing Facts. This is great if you want to enhance your knowledge and you won’t regret browsing this site. CareerGuide.com is a platform to help you understand yourself, the best career for you and providing all the resources in the process. You can enhance your knowledge regarding the perfect career option & get counseling to excel in which so ever career you are interested in. No matter if you are a school or college student, you will definitely get help from this website. Academic Earth has a huge academic option for students from traditional to contemporary studies. They provide online degree courses, videos, and Podcast for Accounting, Art History, Biology, Business, Chemistry, Computer Science, Economics, Education, Engineering, Finance, Healthcare Administration, Management, Mathematics, Marketing, Physics, Psychology, Social Work, Sociology. Moreover, they have collaborated with reputed colleges such as the University of Oxford, Columbia University, Massachusetts Institute of Technology, Stanford University and many others. The Internet Archive is where you can find a huge digital library of Internet sites and other cultural artifacts in digital form. They provide free access to historians, the print disabled, the general public, researchers and scholar. If you are looking for free accessible knowledge, then this website is definitely for you. Skillshare is an online video course platform where you can find courses in 24 categories which comes under creative, business, lifestyle and technology. They have over 4 million students and 22,000 classes which are either free or paid. If you want to take their paid classes, you can always try their 2-month free trial plan where you have access to unlimited classes. Brightstorm is a great website for those students who want help in Maths, Science, and English. They have over 12,000,000 users from 120 countries & 800 schools have used their platform. You can either find the topic by going through the subject or from the search box where you can learn the concepts and how to solve problems. They provide video course where professional teachers around the world will help you in your subjects. 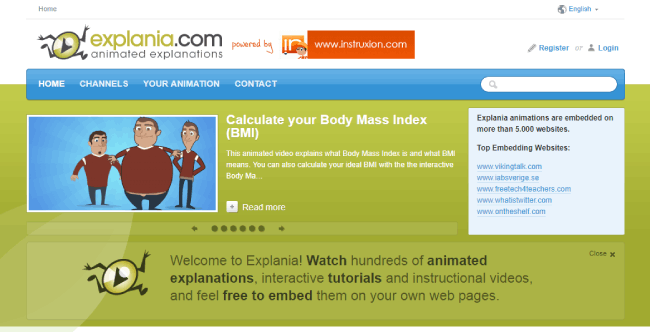 Explania is a web platform that provides hundreds of animated explanations, interactive tutorials, and instructional videos. You can find animated videos from Ecology, Health, Money, Software, Opinions & Trends, Sports, technology, Work categories. HowStuffWorks is another popular website that provides tons of videos, instructional tutorials, and shows covering a multitude of topics from Health, Science, Home Garden, Auto, Tech, Culture, Money & much more. This website is great if you want to learn how something works through their article, podcast or videos. This website is a one-stop destination to find all your answers at one place. In short, if you don’t understand something, just visit this site and do a quick search, I am sure you’ll definitely find something. Coursera offers online courses from top universities all over the world for free. It offers a wide range of courses from several categories including biology, mathematics, business, computer science, humanities and more. Those who are looking to enhance their knowledge, advance their career to sharpen their resume will surely find courses here. 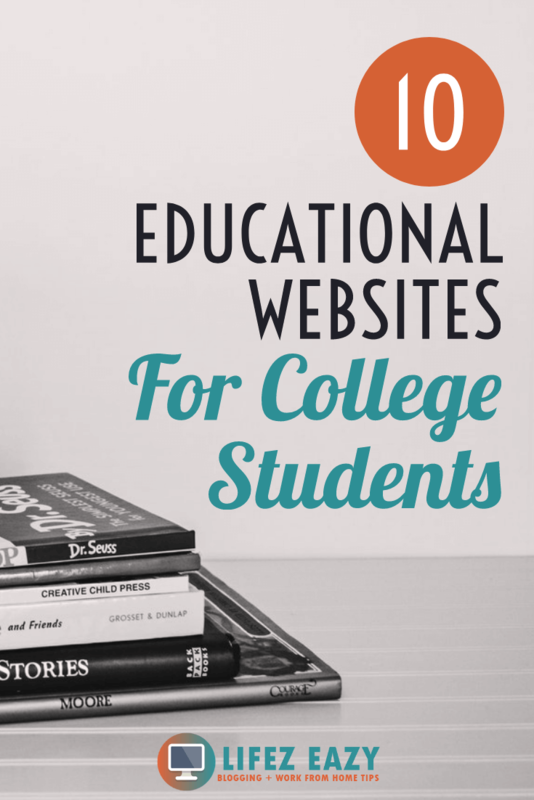 So, these are my top 10 recommended Educational websites for students. All of them are great and will definitely add something valuable in your career. So, start exploring them and let me know if it helps. If you liked this article, then don’t forget to share and pin it.